My husband introduced me to Vietnamese iced coffee a few years ago and I was hooked right away. 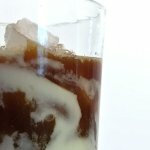 Dark, strong coffee perfectly balanced with syrupy sweet condensed milk, served in a glass piled with ice — there are few things more refreshing on a hot Texas summer day! There’s only one problem– I’m lactose intolerant, so unless I happen to have a dairy supplement on hand, my beloved Vietnamese iced coffees are out of the question. Worrying about a tummy-ache takes a lot of the fun out of the coffee experience, so I decided to create my own, non-dairy version at home. For this Vietnamese iced coffee recipe you’ll be making your own sweetened condensed coconut milk– it takes a little time, but you’ll end up with enough for the next day’s coffee too! (Plus it’s amazingly delicious and so worth the effort!) I love espresso (and I have a super-handy Nespresso machine) so that’s what I’m using for this recipe, though you can use whatever coffee you prefer. **Tip: Spoon this homemade condensed coconut milk into your hot coffee too and enjoy a rich, decadent treat with all the health benefits of coconut milk! 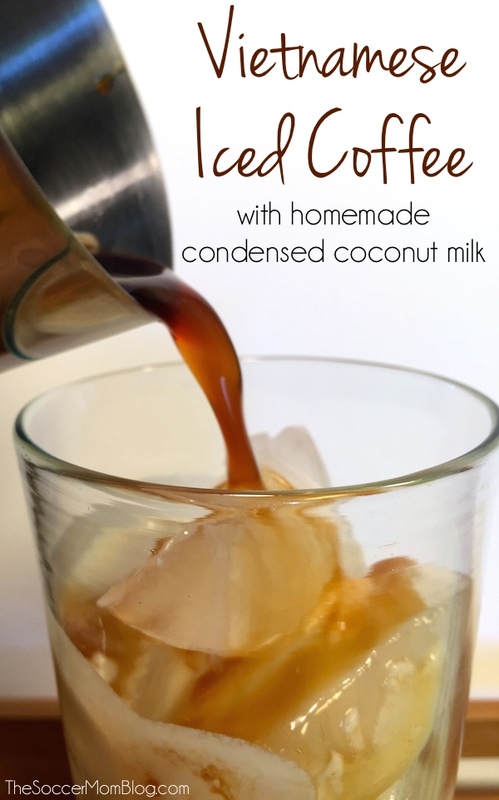 A refreshing iced coffee recipe made with homemade condescend coconut milk. Pour entire can of coconut milk into a small saucepan and bring to a rolling boil. Once boiling, reduce heat to low and cook uncovered for about 25 minutes, stirring occasionally. Once coconut milk has reduced to about half (25 minutes), remove from heat and whisk in honey. Pour in a freezer-safe container and put in freezer until chilled. Fill a glass to the top with ice. Pour about an inch and a half of condensed coconut milk into glass of ice. Save the rest of the coconut milk in fridge for next time! Stir if desired and enjoy!